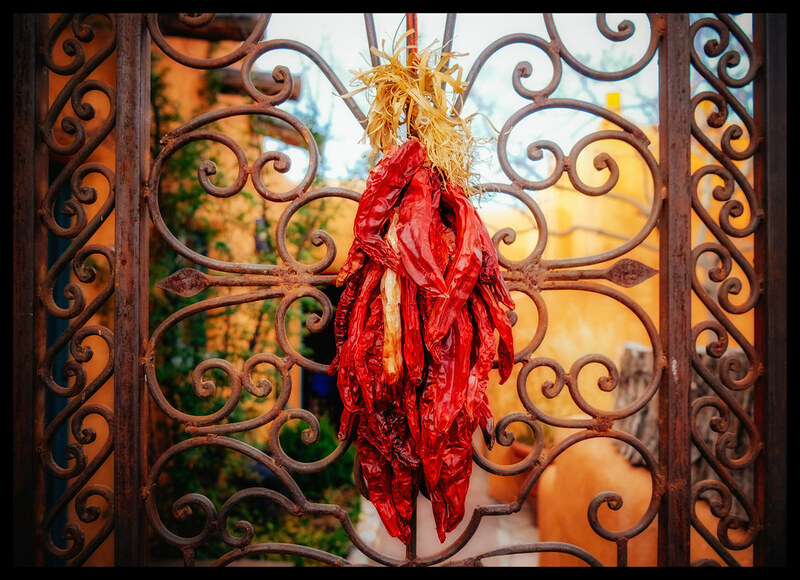 A popular decoration in Santa Fe are these dried red peppers – hanging in doorways and windows – and on gates. I found them fascinating as subjects – especially as the lighting shifted from early morning through the afternoon and into evening. This is a late afternoon example shot at The Inn of the Five Graces with my Fujifilm X-T1 .